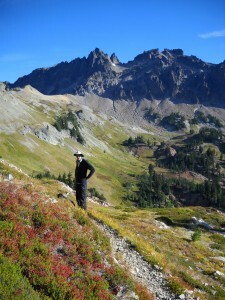 What is the biggest problem long-distance hikers have upon completion of their journey? That’s easy. “It is impossible to shut up about the whole thing,” says Appalachian Trail (AT) and Pacific Crest Trail (PCT) hiker, Bill Walker. Walker, a former commodities trader in Chicago and London, had developed a virtual obsession with thru-hiking the 2,175 mile AT in one hiking season. This was in spite of the fact that he had never even spent the night outdoors in his entire 44 years. What followed in the year of 2005 often seemed like a see-saw battle between Walker’s determination versus his blunders. Walker’s 6’11” height earned him the trail name, Skywalker, and drew the envious attention of his fellow hikers. However, it made him more vulnerable to hemorrhaging weight loss, crushing fatigue, and even hypothermia. Nonetheless, 171 days later and 33 pouneds later, Skywalker was an AT thru-hiker. Like so many mortals, Skywalker felt compelled to relive his lifetime journey. “I had wondered whether I could write an entire book,” he recalls. “But it was such an intense endeavor, I had to agonize over cutting the manuscript down to manageable size.” In 2008, the humorour narrative, Skywalker–Close Encounters on the Appalachian Trail, was published. Skywalker’s ruthlessly self-deprecating style makes for a delightful read and has sold well at hiker events, on Amazon.com, and at various retail outlets. Skywalker had thought nothing could ever top the Appalachian Trail. However, all along the way he kept hearing about a fabulous jewel of a trail in the West. 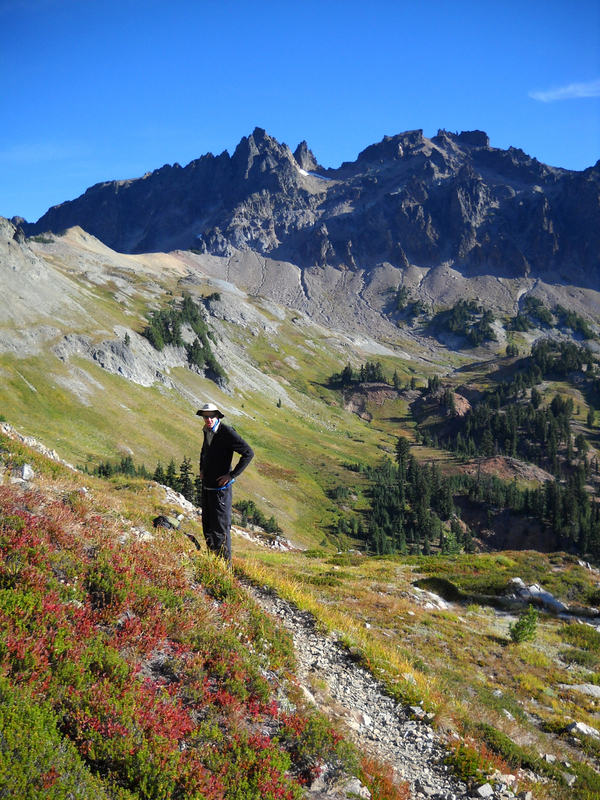 That trail–the PCT–is renowned for its great length (Mexico to Canada) and its stunning beauty. No trail in the world has remotely the diversity. The PCT hiker faces an intense struggle with the desert for 703 miles, including the western corner of the famed Mojave Desert. Suddenly however, at Kennedy Meadows the PCT dramatically changes character. It quickly ascends to the very highest points on the entire American mainland. This marquee section is known as the High Sierra, and traverses such icons as Mount Whitney and Forrester’s Pass. Snow levels in the High Sierra are the critical variable. The PCT headquarters attempts to maintain accurate information on its website (PCTA.org). The natural wonders never cease on the PCT. Yosemite National Park, Lake Tahoe, Crater Lake, Mount Hood, Mount Rainier, and the northern Cascade Range all lie ahead. Better yet, the Canadian border! “The PCT offers the priceless experience of intense immersion in the West,” writes Walker in his new narrative, Skywalker–Highs and Lows on the Pacific Crest Trail. “The overwhelming feeling is one of liberation. Better yet, the geography seems inculcated in the western people.